Sometimes the organization that helped you get your start asks you to come back and share wisdom in the form of a speech. 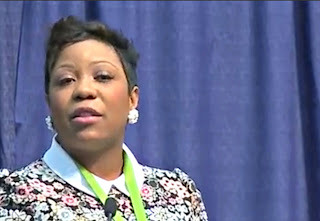 In educator Nancy Hanks's case, it was Teach for America, the organization that brings people from a wide range of backgrounds to public school teaching in America, and the occasion was TFA's 25th anniversary, with an audience of 1,000 of her fellow educators. Hanks wanted to talk about the prison pipeline, the steps that contribute to young people's incarceration--an issue that disproportionately affects students of color and those with disabilities. Acting up in school leads to punishment in school, then out of school, when there are more successful ways to handle those situations. If you’re a teacher, it’s in the moments when the unconscious bias — that we all have, by the way — compels you to address the “aggressive” or “off task” behaviors of your scholars of color while the identical behaviors of their white peers often go unaddressed, banishing those students to the main office, discipline referral form in hand while you continue on with your well-designed Common Core-aligned lesson. That’s your contribution. 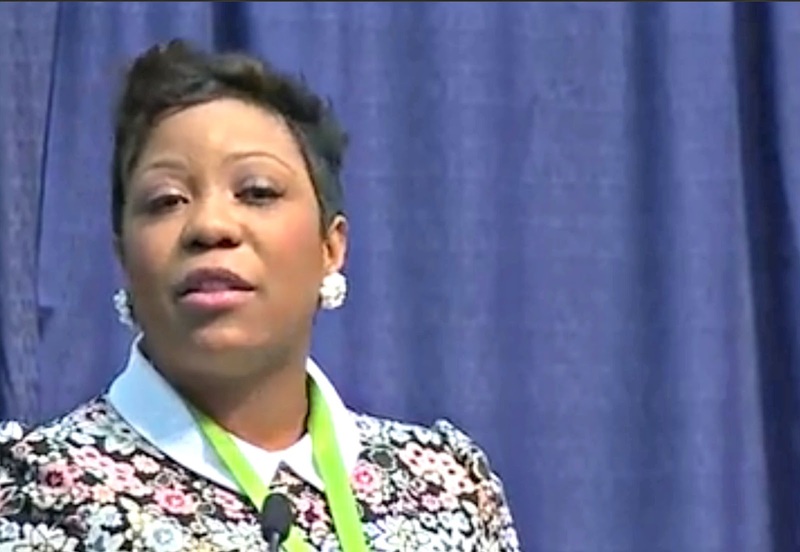 She continued with similar examples for administrators and superintendents, repeating "That's your contribution." Yes, systems matter, and yes, there are villains out there. But we’ve got to be way more honest and own our piece of this. But I promise you, it’s all out of love, and I promise you, I don’t have all the answers. I’ve just tried to learn from my mistakes. She followed with a story about running into a former student she'd expelled years earlier, and the shame she felt, knowing at this later stage in her career that she could have made wiser, kinder choices about how to handle this student. It's a highly personal anecdote of failure, and she does share what happened to the student and where they went from that chance encounter. If you think the audience is doubting your words, say what they're thinking: This is a great tactic for speakers with controversial ideas and topics. It makes you seem less out of touch and more thoughtful, and lets you make your proof points even more strongly...or, as Hanks did, to pivot to a story you can tell on yourself. Use repetition for emphasis: Hanks uses a classic rhetorical device, epistrophe, repeating "That's your contribution" at the end of the paragraphs about what each educator group contributes to the problem. It's useful both for emphasis and for memory, drawing each set of contributions to the same close. Tell messy stories of personal failure: Hanks's personal story is a messy one--the kind Brené Brown recommends you tell without neatening it up to a "happily ever after" story. She does achieve redemption: The student turns out okay, and they make an agreement to work together so he can take his college admissions tests successfully. But the story isn't finished, as she tells it, and it focuses squarely on her failure and what it might have led to, and what she does differently today. Reader Kimberly Moynahan found and suggested this speech. Thank you! Watch the video of the talk below.